“As you will be aware the Nominet ENUM project of 2007 was intended to provide a method for end-users to register ENUM domain names in the 4.4.e164.arpa zone. Nominet signed a contract with the UK ENUM Consortium in 2007 to operate the infrastructure for the UK ENUM system for an initial five year period. Although the UK ENUM Consortium went into liquidation in 2012 we have continued to run a provisioning system (EPP) and dynamic updates and nameservers to support ENUM. The registration process for ENUM requires a participating registrar and a Validation Agency. The Validation Agency has to be appointed by the UK ENUM Consortium. There are currently no ENUM registrars or Validation Agencies operating for UK ENUM and there have only ever been 6 external registrations since the service was launched, that last being in August 2011. We therefore intend to suspend support for ENUM services in November, to reduce our overheads of maintaining the infrastructure and service at a time when there is no prospect of any further registrations in the near future. A copy of the DNS zone as it stands now will be held in a repository in the event there is a decision or sufficient demand in the future to resurrect this service. We will endeavour to contact the registrants to notify them of the suspension. This is kind of sad. Those of us who were around in the early days of VoIP and SIP had big hopes for ENUM, the system whereby voice calls would be routed over the internet. 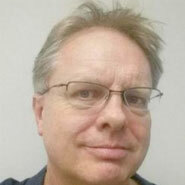 The biggest problem was in those days I worked for a PBX vendor, Mitel. PBX vendors have no vested interest in which medium actually carries a phone call or whether that phone call is free or not. The ENUM proposition was that calls would simply be data sessions and therefore free over the internet. This didn’t really fit in with telcos/carriers who make their money, and in fairness recover their overheads, by charging for calls. It’s no wonder that ENUM didn’t make it as an universal free service. That doesn’t mean to say that ENUM-like tech is not used by carriers to run their voice services as part of their core network. It is also clear that free Over The Top voice services can be successful – witness Skype, Google Hangouts , Apple Facetime etc etc etc. It’s just that these services have been better marketed by organisations with very deep pockets and other ways of generating their cash. 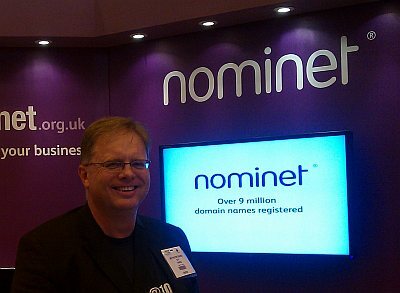 Still I had a quiet moment of reflection in advance of writing this post in memory of Nominet ENUM and the people involved in the project. PS featured image is an old stock photo mentioning Nominet. 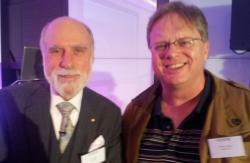 The one of me and Vint Cerf at a Nominet conference was too small to use. Check out the post I wrote following the Nominet ENUM project launch. This is both sad and crazy … we (FidoNet) made several attempts to register in the enum space, and made representations to Nominet directly saying that their systems weren’t working, it wasn’t possible to register and that basically they had a problem. After much persistence (and paying a signup fee) we were told in June 2014 that the project was on indefinite hold. It was surely disingenuous of them to accept a sign up fee. I bet it has been on hold for years. The ENUM initiative was doomed from the start. I was part of the original working group and there were many problems with how to approach it. It isn’t nominets fault by any stretch since they were simply the operators of the service and could not change how it operated. Regardless, ENUM is not a viable base for building a free to call network like email. So much more is needed. There were 6 registrations which is more than I expected!